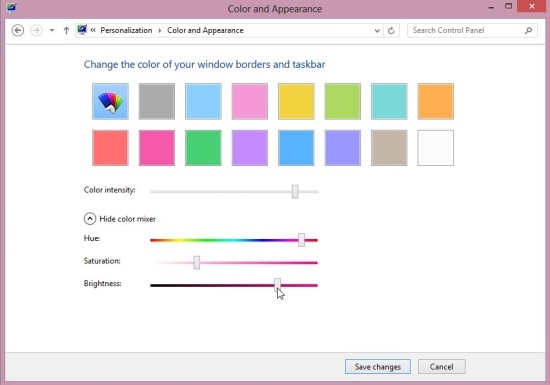 Here is a short tutorial on how to customize desktop window border color in Windows 8. Windows, by default, automatically chooses a solid color matching to your desktop background and apply it to the window borders and taskbar. 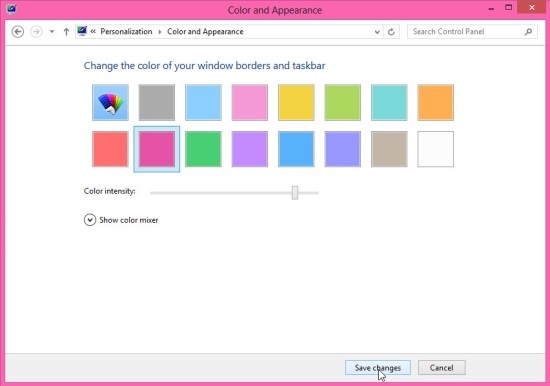 However, if you have a Windows 8 PC and you want to customize this color, you can easily do it from the Personalization panel. 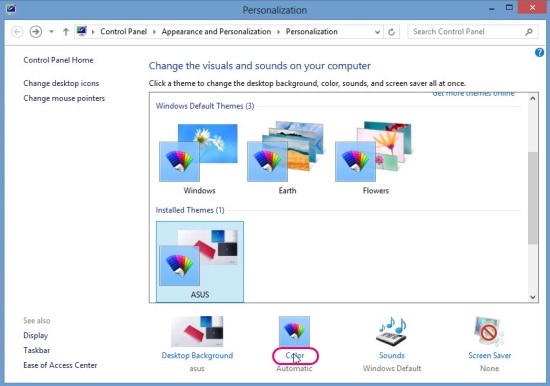 If you have ever changed your desktop background or Windows theme in any of the Windows version (which I bet you must have done), you might have noticed that the Personalization panel gives lot of options to tweak and adjust Windows appearance. One of them includes changing desktop window border color. If you haven’t done it before, see how simple it is to access the personalization panel and change window border color. First of all, go to the desktop by pressing Win+D (just in case you are not there). Now right click anywhere on the blank area of the desktop and choose Personalize option from the context menu. The Personalization window would open up. Click on Color option at the bottom. (second option from the left). The Color and Appearance window would open up. Click on any desired color. Set the color intensity using the slider that appears on choosing color, or you can leave it as it is. That’s it! 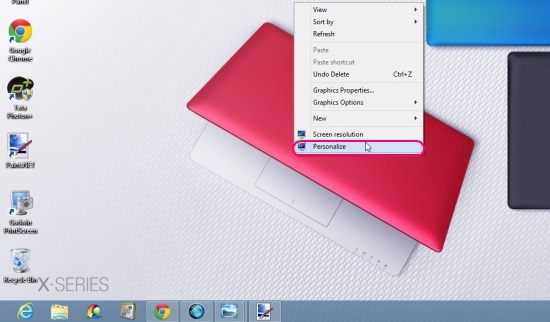 See how simple and easy it is to customize the color of your desktop window border and taskbar. Now one thing more this feature offers is setting the color hue, saturation, or brightness, that would appear once you click on the Color Mixer drop down, as shown in the screenshot below. These three sliders can easily be used to create a mix of colors by changing their hue, saturation, and brightness values. While adjusting these values, you can view the color change on the current window you are on (that is the Color and Appearnace window) in real time. Once you get the desired color, you can save changes and see the effect on your system’s program windows. Hope you like this tutorial and would give it a try. Do share your feedback and suggestions in comments. You might also be interested in how to skip the tile interface and boot directly to desktop and how to create shortcuts for Windows 8 apps on desktop.